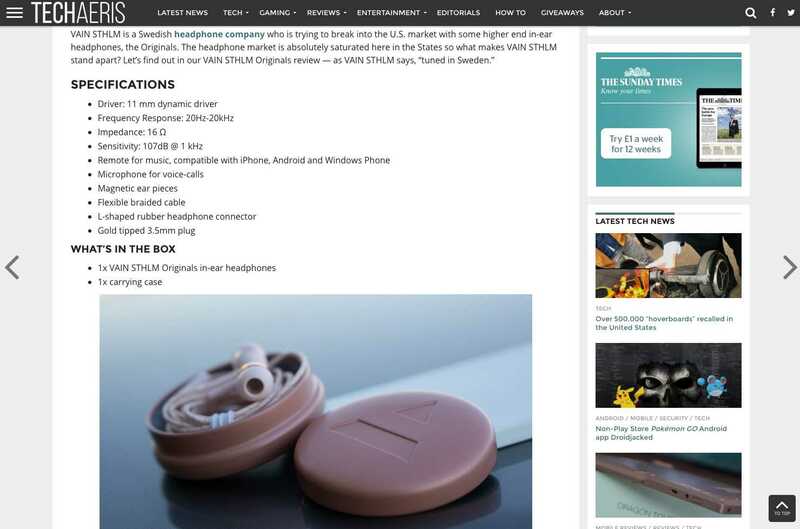 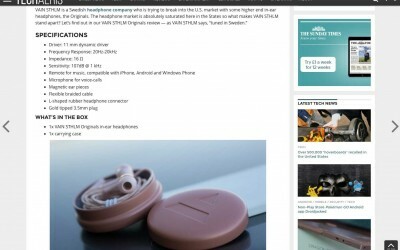 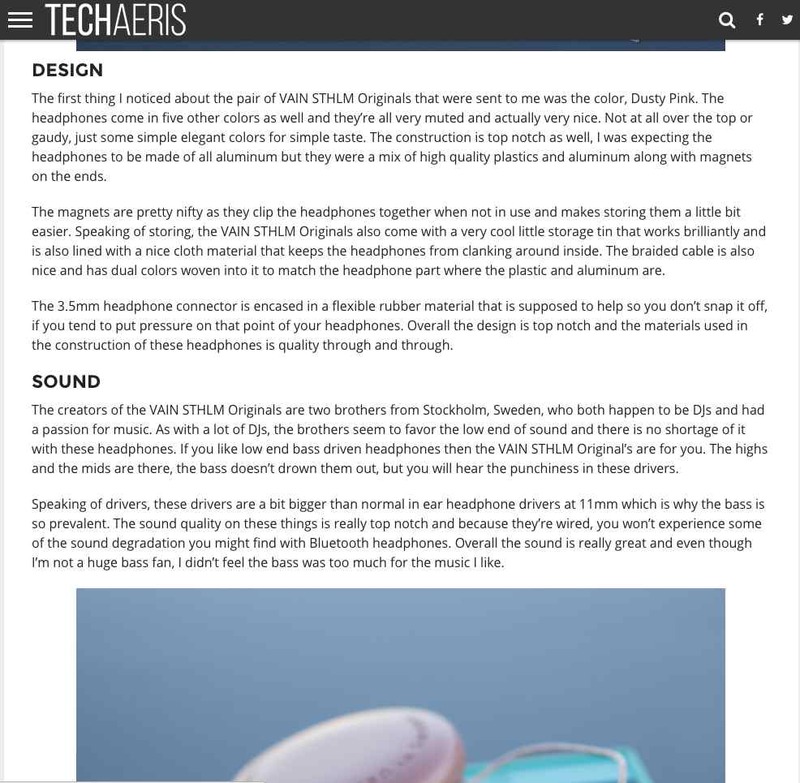 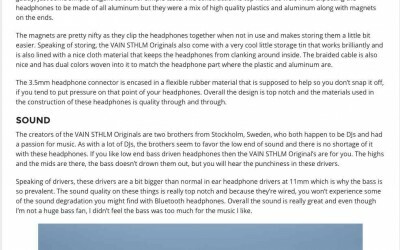 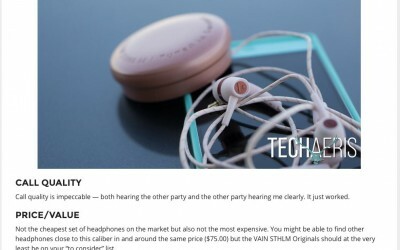 The in-ear headphones range from new Swedish brand, VAIN STHLM has been reviewed by Techaeris. 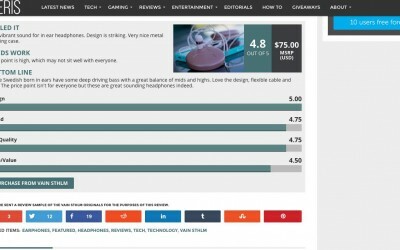 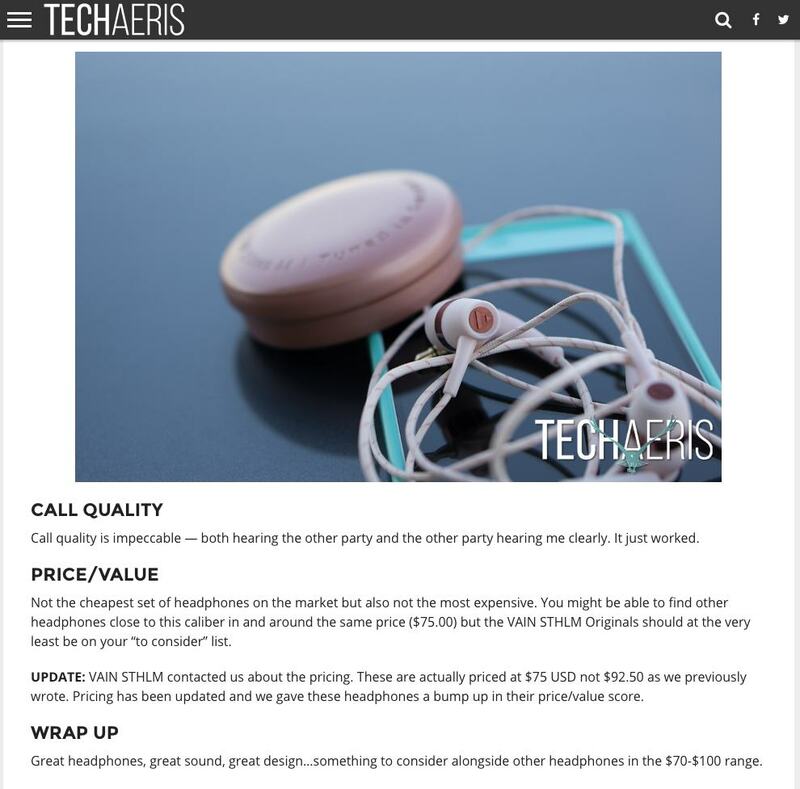 In a glowing review, the consumer tech specialist site concluded that the ‘Originals’ headphones delivered a “rich, vibrant sound” with a “striking” design. 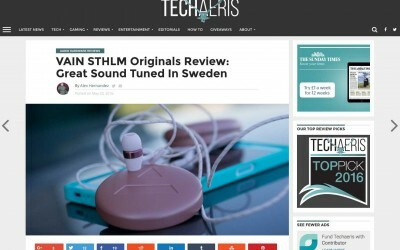 Techaeris awarded VAIN STHLM a huge 4.8 / 5!